UPDATE (2): DC Comics has issued a recall for this collection. I consider the Batman: Bruce Wayne: Murderer/Fugitive collections a pretty seminal part of DC Comics trade history. These four total books were something of an experiment in which DC cut-and-pasted the relevant parts of a Batman crossover together (omitting irrelevant individual series stuff), such to make a sort of collage graphic novel. At a time when not every comic automatically went to trade, this kind of mixing and matching of tie-ins into a collective whole was revolutionary (though in reading it was a bit disjointed). However, there were a number of comics left out of these trades for various reasons. Some weren't specifically labeled as tie-ins, but since the event affected the general status quo of the whole Batman line, most everything spoke to Murderer/Fugitive, even if in minor ways. One of the most notable was Batman #604, which served as a turning point in Fugitive but wasn't included in the trades. For that reason, we at the homestead were very excited by DC's plans to release new, more complete editions of Batman: Bruce Wayne: Murderer and Fugitive, kind of like the new, more complete Knightfall and No Man's Land volumes. However, Collected Editions reader Kirk Kiefer (Tumblr) has alerted me that the solicitations for the new Murderer trade aren't quite accurate; the collection is missing at least one issue -- one that was included in a previous Fugitive trade -- and that the order of the issues in the book leaves a bit to be desired. So I just received the new Batman: Murderer tpb, the first of two TPB re-collecting the Murderer/Fugitive arc. The original trades edited issues (usually secondary titles like Batgirl) to only include pages relevant to the overall Murderer/Fugitive storyline, but left out entire important issues (like Batman 604) altogether. The solicits for the new trades looked good, but, as is pretty much always the case with DC nowadays, the solicits are purely theoretical and rarely (if ever?) an accurate listing of what is actually in the book. I had hoped that they'd just include everything, as I'd rather choose what issues or pages to skip than not be given the choice. The new Murderer TPB unfortunately is another case of the solicits being wrong. It includes Detective Comics 769-770 but skips Detective Comics 768, the first of Greg Rucka's three part "Purity" storyline. The solicitations listed Detective Comics 766-767 as being in the new Murderer tpb (and they are), and 768-775 as being in the upcoming new Fugitive collection. They clearly decided to include more issues, but 768, for whatever bizarre reason, went AWOL and is not included in the new trade (though it was in the old trades). Even the Table of Contents is wrong, mislabelling 769 as "Purity Part 1" instead of part 2. Purity 2-3 are in the book. The scene most integral to the Fugitive arc in Purity Part 1 is Montoya and Allen discussing the murder and deciding to go question Alfred. In part 2 they're at Wayne Manor questioning him. Obviously you can infer what happened, but it's still more integral than, say, the Robin issues they collected in full AND it's written by Greg Rucka, one of the guys behind the whole story. The first page of Purity Part 2 more or less sums up the main story from Part 1, so you won't be completely lost, but obviously you're still only getting 2 parts of a 3 part story. They deemed it important enough to include in the trades the first time around, so not sure why they decided to ditch it on this release. Also stupid is the order of the issues; in the original collections they were even smart enough to put the entire Purity storyline together, since each issue immediately picks up from the proceeding one. In this collection parts 2 and the 3 are separated, so you end up on a cliffhanger with Purity part 2 (Tec 769) that has Batman with a gun to his head, go to Batgirl 27 which has Batman talking to Cass Cain, Nightwing 68, then Gotham Knights 28 which has Batman running around doing this and that and ends on a cliffhanger of Batman getting shot at and fighting zombies, THEN you get to Purity part 3 (Tec 770) which picks up immediately from the cliffhanger from part 2 of Purity. Earlier in the trade they had abandoned strictly chronological placing of the issues, putting Batman 601 and 602 together for example, so I'm not sure why they didn't do that for these issues. I've got to say, I'm pretty disappointed by Kirk's report, too -- and especially that the issue omitted is one by Greg Rucka, when Rucka's issues tied a lot into the end of the story even if they didn't seem to do so at the beginning. Anyone else pick this up, and what did you think of the contents? UPDATE: Kirk contacted Dan DiDio and Jim Lee, and he reports below that DiDio "told me that DC 'will be taking steps to recall and correct the Batman: Bruce Wayne: Murderer collection.'" Good news! This bullcrap with DC collected editions is REALLY getting old. They just don't care about fans. I don't understand how can they get it so right with their VERTIGO imprint, and fail so miserably with everything else. This is a book I won't be buying, unless they get their poop together and do it RIGHT. This isn't a cheap hobbie, DC. Do it right! You should bring this to the attention of some of the bigger comic news websites. As much as I dislike Rich Johnston and Bleeding Cool, in the past they've been able to get DC (and maybe Marvel's) attention about trade collection problems. If you could bring this to Rich's attention, I think if Rich or one of his cronies made a post about this at Bleeding Cool, it might force DC to respond. Very disappointing. Amazon just just shipped the book on it's way so I cannot cancel the order anymore. I might return it though, this is not what DC originally solicited. I shouldn't preorder their books anymore. Things have gone way past the point of whether DC's collected editions include covers or no covers, or all/some/none of the original storyline. At this point, it's become an issue of false advertising: books like this one don't include the contents listed in DC's solicitations, on its website, or on websites like Amazon -- they are simply NOT what people have either ordered or pre-ordered. Anyone who chooses to return this book is completely justified in doing so, on that basis alone. They didn't include the covers? I though this was only a thing in the 90s. God knows I complain a lot about small omissions, but omitting an entire issue that had previously been included in a supposedly less complete version of the TPB is on a whole different level of negligence. It's hard for me to believe that an editor really did that on purpose, and once you factor in the screwed up chapter ordering, it makes you wonder if someone at DC even bothered reading the book before sending it to the printers. "Not sure of the problem you are addressing, but to address the statement, "pretty much the case", we produce 25 trades per month, not sure a half dozen changes in solicits a year qualify as that. But will look into it. Thanks. DD"
Good news! I contact Dan Didio as well, who told me that DC "will be taking steps to recall and correct the Batman: Bruce Wayne Murderer collection." Good news indeed. I guess it really was an accidental omission. Now let's see if they'll do something about the chapter ordering, too. I know tempers were high over this, but if DC actually does recall and reprint the new Batman: Murderer collections, not without some cost or difficulty I'm sure, that speaks well of them; they could as easily have said "We collected it as we thought best" and left it at that. But what will those of us who bought it already do?? I got it from InStockTrades and I don't know if they have a return policy of some sort?? Plus now I have to pack this thing up and go to the post office and all that stuff I have absolutely no time to do? I too am curious how they'll handle the recall for folks who have already purchased the book and what the specific corrections will be. But I give DC credit for listening and making an effort here to do the right thing. Like collectededitions said, they could have easily just dismissed it altogether. Hopeful that there will soon come a day when we can all preorder with confidence. @Jordan--If DC does a full-on recall, they'll probably send out vouchers or some other free postage to send it back and insure that you get a new version. Do you mean DC would send out vouchers, or the retailers? 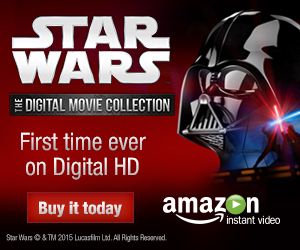 I can't imagine DC handling this at a direct-to-consumer level (prohibitively complicated, I think). I imagined something more like DC would let the retailers know the copies could be exchanged, and then it would be incumbent on the customer to take the book back to their retailer for a refund/exchange. Is there precedent for this kind of thing? Customers could then bring their defective item to the original retailer with a receipt, drop it off and get a voucher for the correct item. If the item is in stock, then there's no problem. If not, I guess rainchecks would get involved. And then there's the issue of not having a receipt, like if you bought the book at a convention. At that point, you might have to print out something from DC saying it's been recalled and get a voucher directly from them. 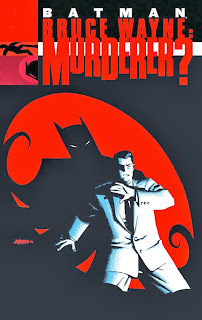 "Retailers, DC Entertainment has learned that the BATMAN: BRUCE WAYNE: MURDERER? TP NEW EDITION was printed with errors. DC is currently prepping new, corrected copies of this title that will include DETECTIVE COMICS #768 and BATMAN: GOTHAM KNIGHTS #29. In addition, the running order of the contents will be corrected and the table of contents will be updated. DC asks that you destroy all copies of this title currently in stock, and that you accept returned copies from your customers." According to Diamond, corrected editions will ship to go on sale May 14.